Thus the nickname. Whenever Geronimo meows, it means he wants something: food, loving, lifting onto or off the bed, access to the out-of-doors (or back inside). 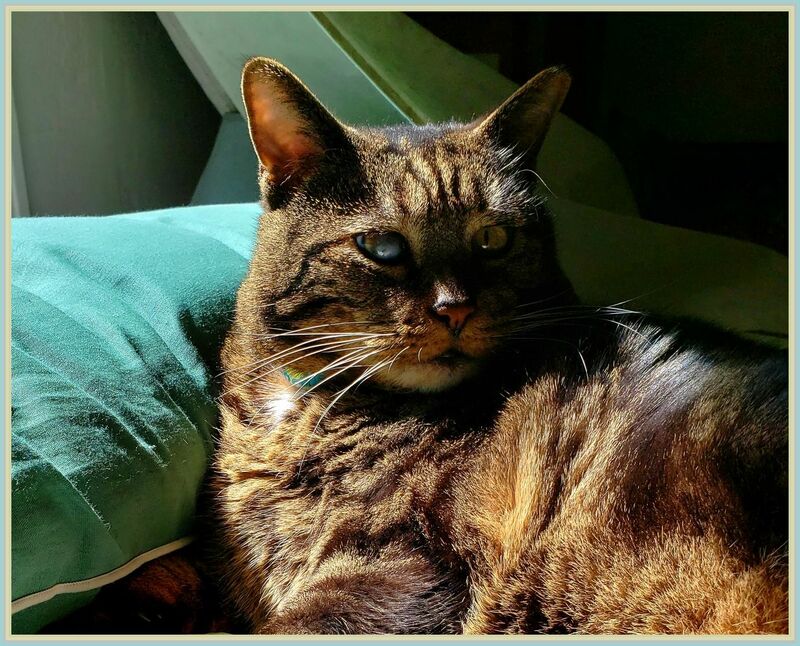 He is nothing if not insistent, but rewards his human companions for these small kindnesses with purring, headbutts and slow blinks. PROSATIO SILBAN STOOD UP, WIPED his hands on his breeches and cursed mildly in the name of a minor god. He thought, If only this wheel hadn’t broken, I’d now be in many-harbored Soharis cooking fresh-caught fish for wealthy or needful market-goers. It wasn’t that he resented his galleywagon’s occasional problems — after all, any traveler sometimes had to bear with same — but recent events were enough to push the Cook For Any Price to his patience-limits. First had come the cancellation of his contract for the annual feast with the burghers of bucolic Oakstraw when they discovered that he was a self-defrocked Sacreant. THIS WAS THE FIRST FANTASY I ever read — at the tender age of six or seven, IIRC — and remains one of my most beloved and oft-quoted books. In some ways it’s similar to Bullwinkle or SpongeBob Squarepants: touted as kiddie fare, but really told with a more mature audience in mind. 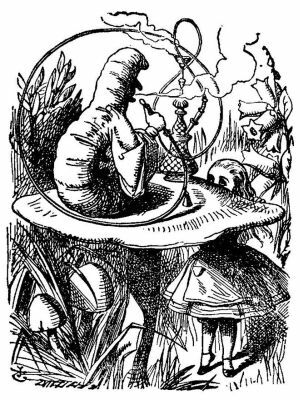 Lewis Carroll’s puzzles and paradoxes (and John Tenniel’s classic illustrations) have been discussed for almost as long as the book has seen print, and some of the former’s riddles (“Why is a raven like a writing desk?”) remain today as enigmatic as Zen koans. SUPREME BEING WHENEVER I HEAR this Name, I think of the part played by Sir Ralph Richardson in the 1981 Terry Gilliam film Time Bandits: a dapper, suit-wearing, businesslike, no-nonsense-on-my-watch sort of G?d. The Name may also refer to the object of the “oceanic feeling” popularized by Sigmund Freud — that aspect of “being” which is most “supreme.” And it might also denote the Dweller at the Summit of the Universe (which, in an apparently spherical universe like our own, would be the place with the best view thereof). Two out of these three may or may not be the same thing. Beware of imitations.